Have you ever wondered what is that UPI? IS it similar to other wallets? And what is the difference between UPI Wallet and other major wallets like Paytm, Freecharge, and other wallets? So these are the questions will be scratching your head, Some people know about UPI wallets, so if you do not know what is it and how it is used, that means you are in right place. 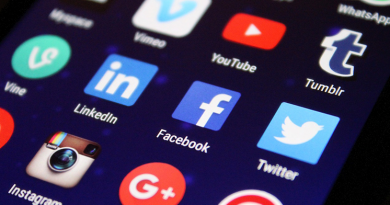 In our Country India, everything going to be digitalized, and it’s in progress, Digitalization has already started and it is in rapid growth. So people in India started using Paytm, freecharge and other e-wallets as well to make any transaction, it might be an online purchase, food ordering, shopping in merchant outlets, petrol bunks anywhere, So almost 40% of people in India started using E-wallets to make a transaction. In the middle of this UPI Wallets comes up. 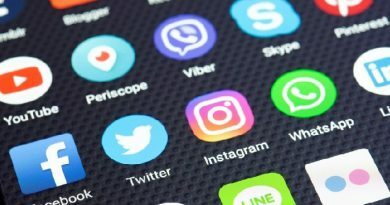 So what are UPI Wallets or UPI Payment Apps? Is it safe to link the bank account with these UPI Wallet? UPI is nothing but Unified Payment Interface app. Oh this is so technical term, so what is this called. So UPI is an instantaneous method to make a payment directly to any bank accounts and it is developed by National Payment Corporation of India. And as of now it is available only on mobiles in the form of Mobile UPI e wallets. And these UPI transaction are regulated by Reserve Bank of India So you can transfer cash instantly between 2 bank accounts. And UPI is built over IMPS platform, so that funds are transferred instantly. And this payment is fully secured and you can make a payment Hassle-free. UPI payments are fast and instant (1 min) since it uses IMPS method for fund transferring between 2 bank accounts. And its is a digital payment system is available 24/7 and also Sunday’s as well. No need to rush to your bank waste time in queue to make a fund transferring. No need to load money in these UPI Wallets like other traditional wallets like Paytm, Freecharge and all. Since UPI wallets are directly linked to the respective bank accounts. So if you want to make a transaction when clicking on pay now button, after entering your MPIN then directly funds are transferred to the receiver’s account. This is an Ultimate app . And this TEZ app is developed by Google.Inc . So rite now all over millions of downloads in Playstore, because of their promotional offer refer and earn program, they give Rs.51 each referral, and this Rs.51 will be directly transferred to your Bank account, And using this Tez app you can earn upto Rs.9000/account. So you can download Tez app here. Phone pe app is also and UPI wallet. 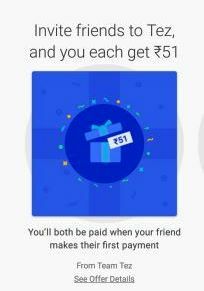 And this app is managed by Flipkart, Since Flipkart owns it, hence you can see the offers in Flipkart app if you make the transaction using Phone pe you will get Rs.100, 500 cash back and all, So Phone Pe is the major rival for Tez app, even they have refer and earn program you will get Rs.50 to your phone pe wallet for each referral, You can download Phone Pe app here. I heard some people, that they are afraid to link their bank account with these UPI wallets, because they think that these wallets might hack your account and washes away all the money, But this will never happen, Since UPI wallets and UPI transaction are secured by Unique MPIN. And also these UPI transactions are regulated by Reserve Bank of India. ← What is Google Assistant and How to use it?